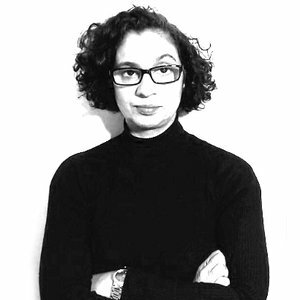 Sophia is an award-winning creative with over 19 years in the broadcast design industry, 18 of them at the BBC in London. She has made her mark on several high profile programmes and has, over the years, designed a huge variety of opening title sequences for a wide range of clients and budgets. For the last 17 years she has focused on her 3D skills, specialising in Cinema 4D. Sophia is also a specialist in After Effects as well as a variety of software using it to enhance both her 3D and design work. Her work has also been recognised on the global stage with a PromaxBDA Global Excellence Awards 2014 nomination for the BBC in New York and winning bronze in 2015 at the PromaxBDA Global Excellence Awards in Los Angeles for a science explainer created for the BBC. Sophia spends her time between the BBC and working freelance on private commissions.